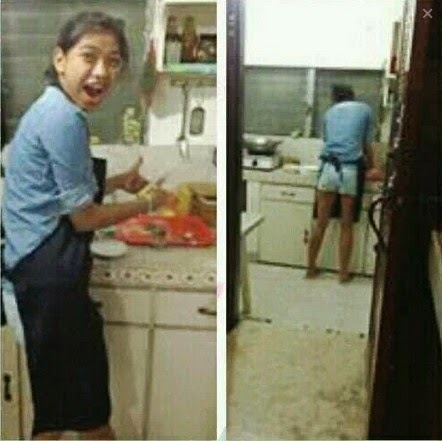 Manila, Philippines -- How often do you see a celebrity doing some work in the kitchen, more so cleaning the dishes or paghuhugas ng plato? That probably happens once in a blue moon. Alyssa Valdez just did that. She just showed that despite being a famous college volleyball player, she's still loves doing stuffs that other celebrities would refuse to do. She's definitely a role model to the youth. An epitome of humility and willingness to do things that most people would not do.